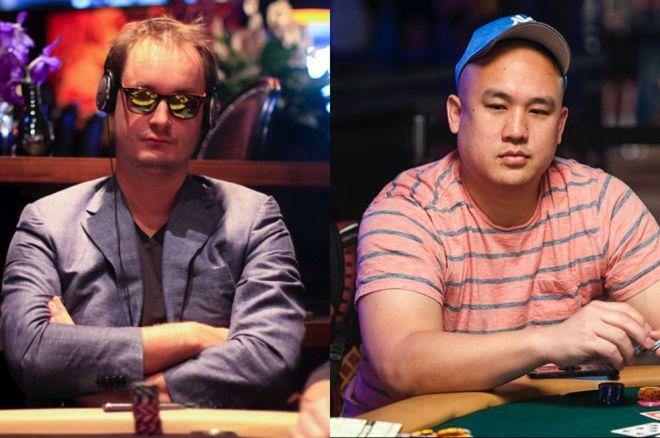 PokerStars' 2018 SCOOP keeps chugging along with winners like Michiel "utreg" Brummelhuis & Jerry "hummylun" Wong. The PokerStars 2018 Spring Championship of Online Poker (SCOOP), which will offer $65 million in guarantees over 65 events through May 21, is more than halfway done. Plenty of big names won titles in the early going, and over the weekend several more added their names to the list including Michiel "utreg" Brummelhuis and Jerry "hummylun" Wong. Wong, the man who finished eighth in the 2016 World Series of Poker Main Event, is now a two-time SCOOP and four-time overall COOP champ thanks to his win in SCOOP-27-H ($1,050 NLHE 6-Max, Progressive KO, Turbo). In just five hours, Wong topped a field of 1,055 entries to win $86,047 in prize money and an additional $77,625 in bounties. Wong’s other SCOOP title came last year in the $2,100 buy-in Event #14-H Razz. Wong began the final table as a big chip leader with three times as much as his next closest competitor. With five players left, Wong held half the chips in play and was shoving liberally. Players hit the rail until it was just down to Wong and “TonyYayo5.” It took 17 hands, but eventually, Wong’s ace-five cracked “TonyYayo5’s” ace-queen to put an end to the tournament. SCOOP-21-H ($2,100 NLHE) drew entries (392 unique + 160 re-entries) and saw another $1 million guarantee surpassed by a $1,104,000 prize pool. Like Wong, it was another former WSOP November Niner finishing as the last player standing, this time Michiel "utreg" Brummelhuis. Back in 2013, Brummelhuis finished seventh in the WSOP Main Event for $1,225,356. The player from the Netherlands navigated a final table that included Pedro "skyboy69" Oliveira, Ben "Ben86" Tollerene, Luke "Bit2Easy" Reeves, Craig "mcc3991" McCorkell and Andrei "ragAAila19" Boghean to make it to heads-up play against online cash game legend Linus "LLinusLLove" Loeliger. The Austrian held a lead, but Brummelhuis mounted a comeback. When Brummelhuis doubled into a small chip lead with king-queen over nines, he offered an even chop. Loeliger declined and not long after the two got it in. Brummelhuis held ace-jack offsuit against Loeliger’s ace-eight offsuit. The kicker made the difference and Brummelhuis scored $194,883 for the win. “I ran sick,” he offered in the chat box. For most of Day 2 of SCOOP-18-H ($1,050 NLHE Progressive KO, Thursday Thrill SE) – a tournament that attracted 1,344 entries – Honduras’ “owilson25” held the chip lead. It looked like he was on his way to a SCOOP title, but that changed during four-handed play when Jon "luckyfish89" Clark wrestled away the lead. Fittingly, the title came down to those two and they battled for nearly an hour. Eventually, Clark flopped a set of nines and won the biggest pot of the tournament off of “owilson25,” who had flopped straight and flush draws. Three hands later, Clark finished the job. It marked the third time Clark won the Thursday Thrill after doing it earlier this year and in 2016. He’s also a 2016 Sunday Million runner-up, which was good for nearly $100K.